Born and raised in the heart of Staten Island, New York, Ghostface Killah, born Dennis Coles, is a very well-known member of Wu-Tang Clan, the celebrated hip-hop group. Emerging from a childhood filled with poverty, he puts his all into his projects and everything he rhymes about basically stems from what he’s seen and what he’s been through in his life. 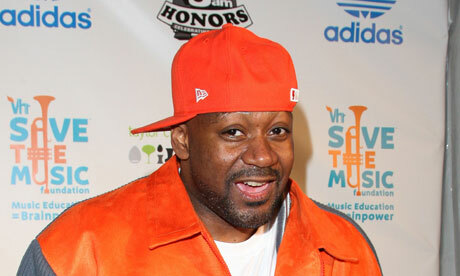 He is the father of four children (one daughter and three sons), and one of his sons made his debut in the video for “All I Got Is You,” where he played Ghostface as a child. In 1996, the year Ghostface was diagnosed with diabetes, he released his first solo album, Ironman. Produced by the RZA, the record was exceptionally successful in the underground circuit, as well as in the mainstream, debuting in second place on the pop charts. Work with the Wu-Tang Clan kept Ghostface busy, but didnt prevent him from releasing his second solo album, Supreme Clientele, in 2000. This second record was again loved by both hip hop enthusiasts and mainstream critics alike. The album included his most successful radio hit, “Cherchez La Ghost,” and earned a spot on VIBE magazines top 10 albums of all time. The following year Ghostface released Bulletproof Wallets, a record that did not live up to his previous two, but one that initiated a change in the rappers direction. n 2003 Ghostface signed with Def Jam Records, and in April of the following year he released The Pretty Toney Album, one which contained many different collaborations with artists such as Missy Elliot, Jadakiss and Jacki-O. In 2006 Ghostface put out his fifth album entitled Fishscale. It made a strong debut at number 4 on the US Billboard 200 as well as placing number 2 on the R&B Charts. Ghostface continues to make music both on his own and with the Wu-Tang Clan. The group released their most recent album, 8 Diagrams, in December 2007. In addition to the music, Ghostface opened GFK Poker, an online poker room, in 2006. He has also collaborated with 4Cast to produce his own action figure.